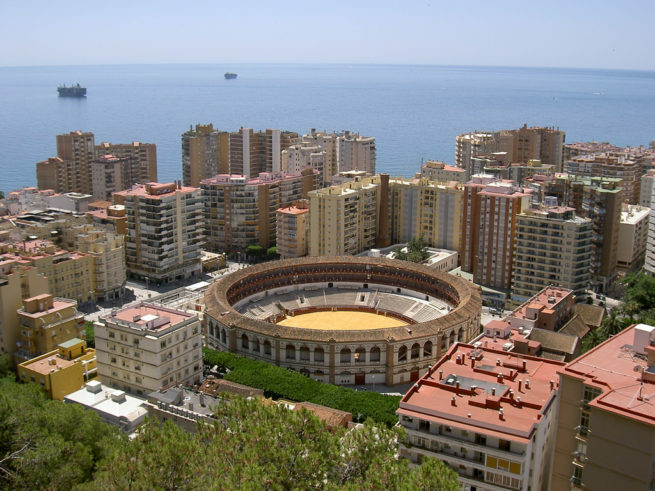 Charter a private flight to Malaga, Spain using our private jet charter service. Whether flying private for business or leisure, we can help arrange the right aircraft and flight itinerary that best meets your needs. Jet Charter Europe believes in providing private flyers with a one-on-one consultative service experience that exceeds every expectation. We understand that your time, privacy, flight preferences and most of all, safety, are all extremely important. Our Malaga Jet Charter representatives are available for you by phone and email 24 hours a day, 7 days a week. When using our private aviation service, you can expect quick response times and an easy, hassle-free booking process. Request a quote or call us to arrange your private flight to Malaga, Spain. Malaga is a port city in southern Spain along the Costa del Sol, and one the top luxury destinations around the world for private flights. The city has a lot to offer luxury private jet travelers, from its beautiful Mediterranean climate and pristine yellow-sand beaches, to a variety of hotels and resorts for luxury getaways, business trips and special events. With all of these options available, we’ve created a list of our top choices based on factors such as Jet Charter Europe passenger feedback, location, amenities and online reviews. Once you arrive in Spain via luxury private jet, our Malaga Air Hire service brokers can also arrange ground transportation to/from the hotel of your choice. 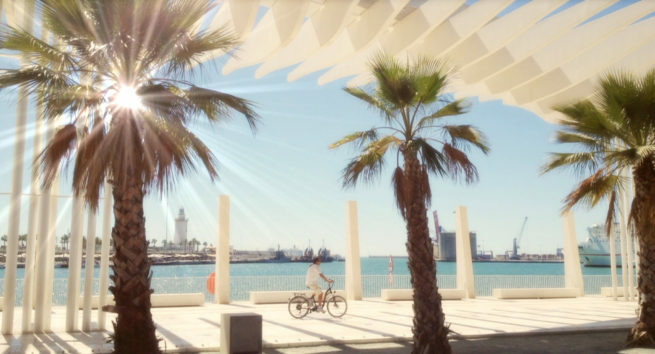 Malaga is the place to stay along the Costa del Sol for luxury private jet travelers looking for a celebrity-style getaway filled with luxurious shopping, exciting nightlife and most importantly – sunshine! 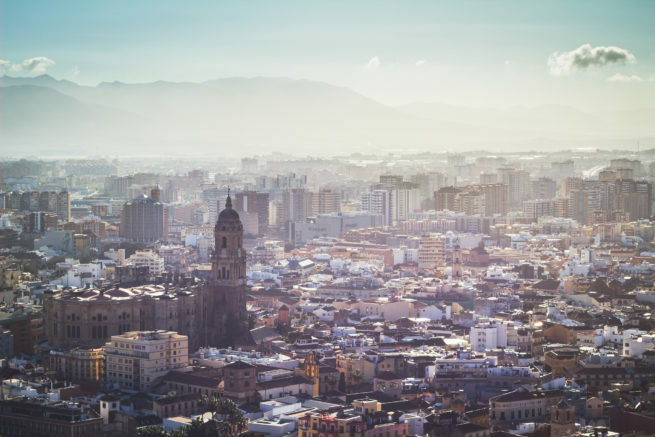 The premier Spanish holiday destination throughout the 60’s, Malaga’s renaissance over the decades has transformed it into Andalucia’s cultural capital, with a wide range of museums to go along with excellent tapas bars, roof-top terraces, street art and the Muelle Uno seafront. Home of the artist Pablo Picasso, you can visit the birthplace of the famous painter, as well as a museum dedicated in his honor located in the city’s historic center, with the Alcazaba Fortress and Gibralfaro Castle creating a dramatic backdrop. Enjoy a round of golf at some of Europe’s most renowned courses – thanks to 300 days of sunshine and a picturesque setting along the Mediterranean, a round of golf can be enjoyed along the Costa Del Sol regardless of season. Check out the Costa Golf Guide for course recommendations and the latest news. The Malaga Province is home to over 100 towns and villages for you to explore, and nearly half of the region is covered by parks, reserves, natural areas and green spaces. The nearby town of Marbella, formerly a whitewashed fishing village, features a contemporary seafront and a blend of Andalucían and Moorish cultures found in colorful floral displays and narrow streets. It is also home to one of the premier golf resorts in the area. Benalmadena is another popular tourist spot just 12 kilometers west of Malaga, and is home to the Buddhist Benalmadena Stupa and the Benalmadena Puerto Marina. Spend some time out on the sea by chartering a private luxury yacht via local marinas – our team will be happy to assist connecting you with the right charter for you and your guests. Check out more of our recommendations for luxury private jet travelers while staying in Malaga, Spain. Jet Charter Europe utilizes the following airport to fly clients privately to/from Malaga, Spain and neighboring areas. Request a Quote or give us a call at 1-888-987-5387 to speak with one of our Malaga Private Jet Charter service brokers for your next luxury vacation, business trip, or special event.